B.A (with honors) – Physics, Technion, 2007. 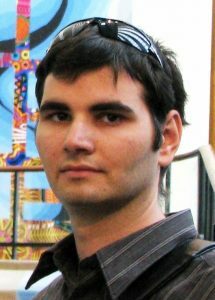 M.Sc., and Ph.D. – Aerospace Engineering, Technion, 2009 and 2012, respectively. Post Doctoral Fellow, Wuerzburg University, Wuerzburg, Germany, 2012-2013. Post Doctoral Research Associate, Bundeswehr University Munich, Germany, 2013-2014. Recipient of a Minerva fellowship (Max Planck Society) for postdoctoral research, 2013. Kronhaus, I., Kapulkin, A., Guelman, M., ”Field Emission Cathode with Electron Optics for use in Hall Thrusters,” Journal of Applied Physics, Vol. 108, p. 054507, 2010. Kronhaus, I., Kapulkin, A., Guelman M., Natan, B., ”Investigation of two Discharge Configurations in the CAMILA Hall Thruster by the Particle-in-Cell Method,” Plasma Sources Science and Technology, Vol. 21, p. 035005, 2012. Kronhaus, I., Kapulkin, A., Balabanov, V., Rubanovich, M., Guelman, M., Natan, B., ”Discharge Characterization of the Coaxial Magnetoisolated Longitudinal Anode Hall Thruster,” Journal of Propulsion and Power, Vol. 29, pp. 938–49, 2013. Kronhaus, I., Eichler, S., Schein, J., ”Schlieren Characterization of Gas Flows Generated by Cathodic Arcs in Atmospheric Pressure Environment,” Applied Physics Letters, Vol. 104, p. 063507, 2014.